A pair of siblings is tonight in a critical condition at the Karl Heusner Memorial Hospital after the vehicle they were traveling in collided head-on with an SUV coming from the opposite direction. Just before four this morning, the traffic accident occurred near the cutoff to Vista del Mar on the Phillip Goldson Highway which has been widened and upgraded. 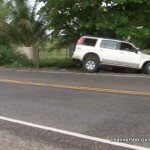 The driver of the SUV, who escaped unhurt, has since been served with a notice of intended prosecution. The family of injured brothers, Ricardo and Luis Jacobo, were too distraught to provide an interview, but News Five’s Duane Moody has put together this story. 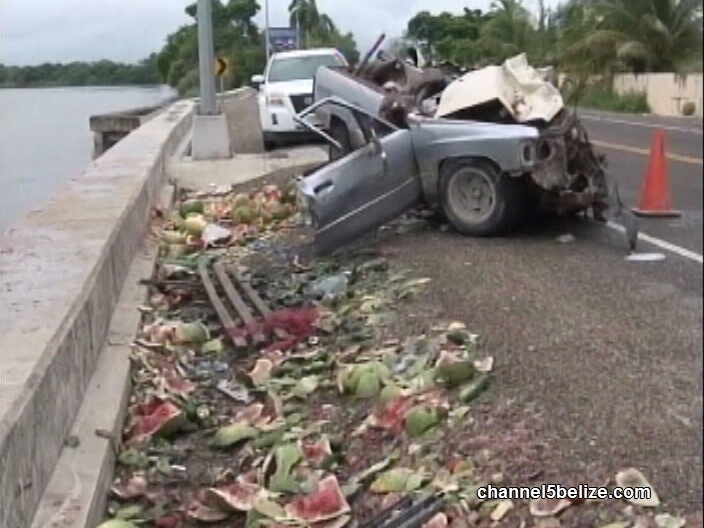 Early this morning, two brothers from Orange Walk, Ricardo and Luis Jacobo, traveled to Belize City in a Toyota pickup; the pan filled to capacity with watermelons and vegetables—produce which the farmers were to sell at the market today. 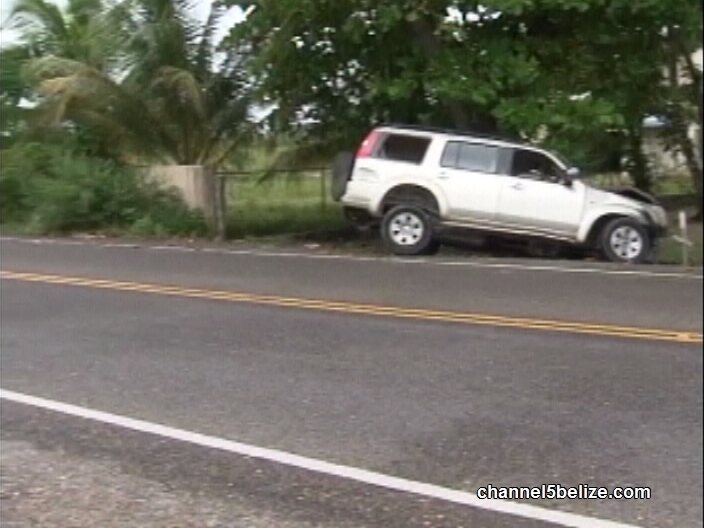 But just before four o’clock, as they approached the well-known curve where Raul’s Rose Garden once stood at mile eight on the Phillip Goldson Highway, near the entrance to Vista del Mar cutoff, they collided head on into a Ford Everest SUV traveling in the opposite direction. 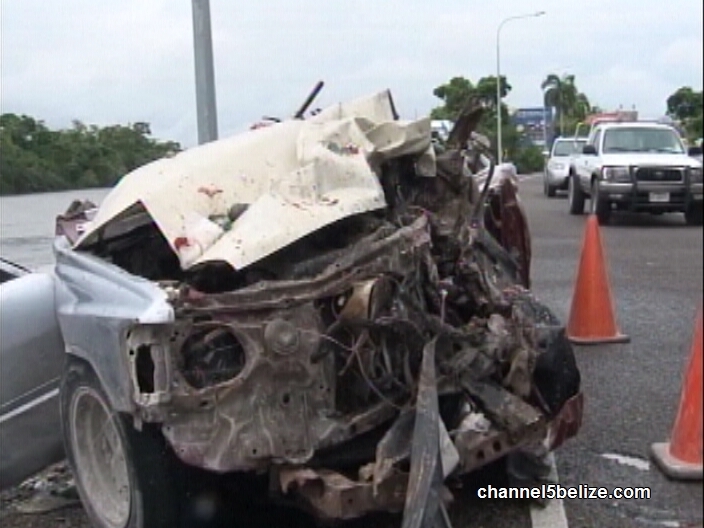 The SUV was driven at the time by Con Murphy, a thirty-six-year-old former British soldier and Corporate Service Provider from Belize City. The impact sent both vehicles to extreme sides of the highway with extensive damage to the front portions. While Murphy escaped unhurt, the Jacobos were pinned inside their pickup truck. Ladyville police arrived on the scene shortly after and were later joined by National Fire Service personnel who rescued and removed Ricardo and Luis before they were rushed to the Karl Heusner Memorial Hospital. Both victims were rushed into surgery and tonight remain in a critical condition. As police investigations continue into who is culpable, a notice of intended prosecution has since been served on Murphy. Duane Moody for News Five. 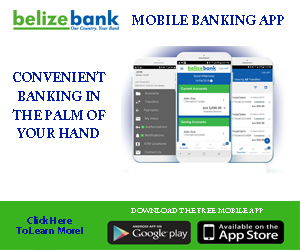 A New Way to Pay B.T.B.